Topics: Text Only, Screen Reader, Walk Down Memory Lane, Co-operativetrust, Remembrance Day, and Moodle. The programming language environment is ASP.NET. 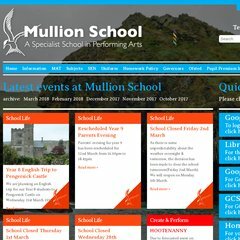 Mullion School (England, Mullion) is the location of the Microsoft-IIS/6 server. ns0.ifl.net, and ns1.ifl.net are its DNS Nameservers. PING www. (217.179.13.9) 56(84) bytes of data.